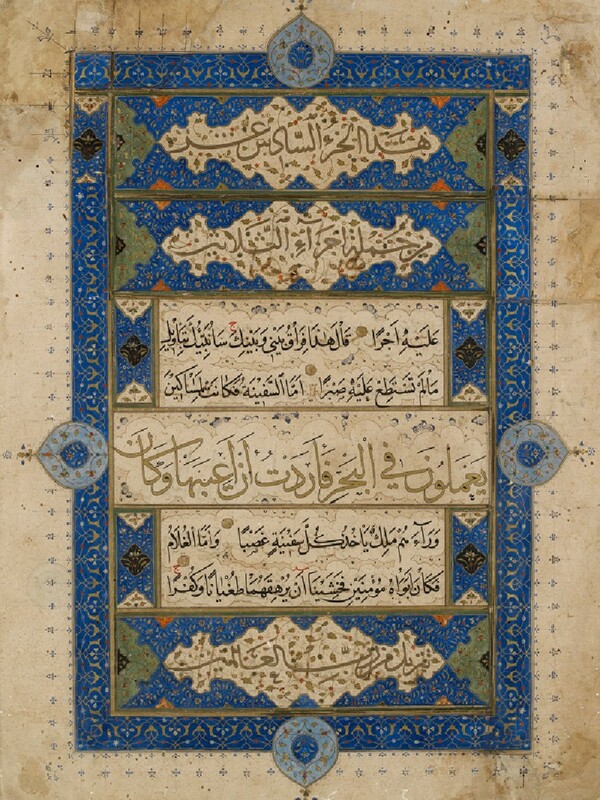 This exuberant folio (Qur’an, 18:77-80) originally marked the beginning of the 16th part of a 30-part Qur’an, as also specified by the inscription found in the lobed cartouches located in the upper third of the page. 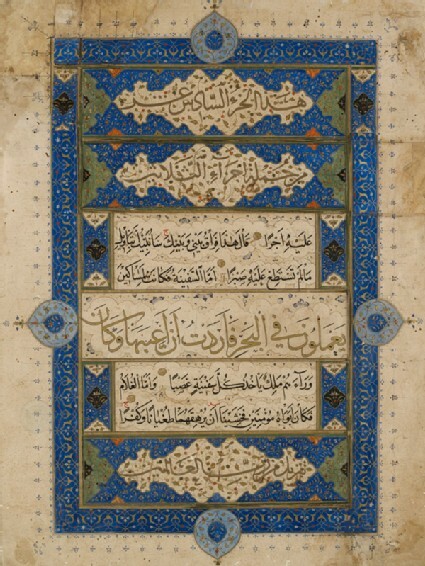 A striking blue frame with scrolling arabesques and drop-shaped medallions encases the text block, which is organized in bands of different width, and colour copied in three distinct Arabic scripts: naskhi, thuluth and tawqi‘. Although heavily repaired, the page exemplifies the vibrancy of book illumination in Iran during the second half of the 15th century.